Planning a Bachelorette Party? Take A Wine Tour And Thank Us Later. 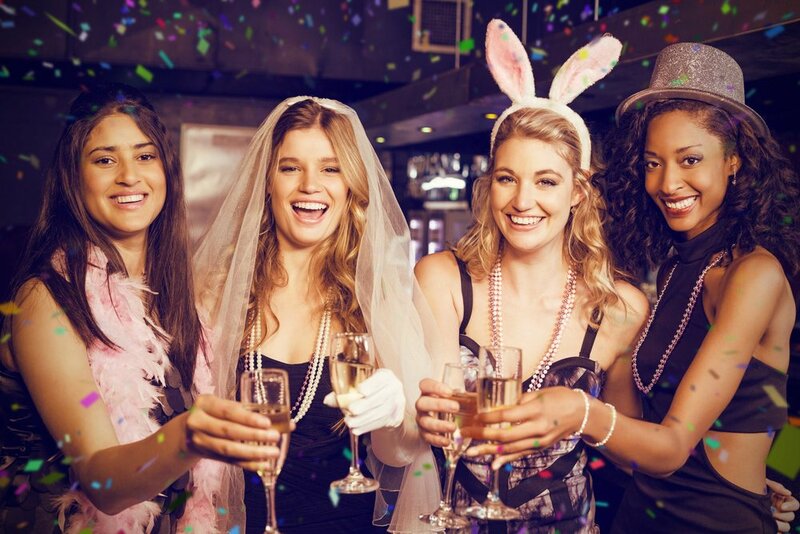 If you’re the lucky individual that’s been selected to plan a Bachelorette Party for your newly engaged friend or family member, we’re here to help you from going crazy. From spa days, to nights in New York, you’re probably already flying off in a few different directions. You want to make it perfect - memorable, safe, enjoyable and hopefully for everyone’s sake, affordable. But how do you go about balancing all these things, making reservations, checking prices and reviews when you’ve also got a life to live? That’s where we come in. Our Wine Tour Packages make the PERFECT Bachelorette Party ideas - below, we’ve compiled a list of 5 reasons why. Check it out! It’s Efficient - Think of it like this, you can make one reservation that covers virtually every part of a memorable Bachelorette Party - Our Wine Tour Packages include snacks, Wine, transportation and even entertainment at the Wineries. It’s a one stop shop! It’s Affordable - Split up amongst a group of up to 13, without any of our add on amenities, an entire Bachelorette party can be done for less than $100.00 per person. That’s less than the average per person cost of bottle service in NYC ($125-$175), and that doesn’t even factor in the myriad of other costs involved with a traditional bachelorette party experience! It’s Safe - Our Chauffeurs are the epitome of professionalism. They are background checked, drug tested and receive annual MVR reviews from management. Furthermore, the vehicles they pilot are DOT approved, fully insured and receive routine safety and mechanical checks. In contrast, traveling around the city with mysterious Uber drivers all evening in separate groups is dangerous, expensive and time consuming. It’s FUN - Wine. Need we say more? You were going to drink it anyway, why not make an event out of it? Depending on your tour date, the wineries you visit typically hold all sorts of fun and entertaining events that you and your group will love participating in. From live music to yoga, there’s something fun for everyone to enjoy! And traveling to and from the Wineries in our state of the art custom Mercedes Sprinter makes it even better. Create a video collage of your group and the Bachelorette and Airplay it from your phone to the large screen onboard TVs. It’s Memorable - Last but certainly not least, a Wine Tour will be a wonderful experience you and your group will always remember. It’s classy, low key, and just makes a lot more sense than running around the city in high heels hailing cabs and squeezing into sweaty, loud, overpriced bars. Click the button below to get started - our online quote request form is easy to use and takes under 2 minutes to complete! We’ll see you on the trails! CLICHE ALERT: Planning the perfect Wedding Day? Our experienced in house event planner developed an ironclad logistics plan to make sure you and your guests are where they need to be, when they need to be there on the big day! This post is an opinion piece I did on clients asking for loyalty discounts from businesses that are providing them with superb service. Discussion into limousine service standard operating procedures and how they effect limo service customers. Providing consistently excellent and highly rated limo service to Princeton NJ. Limos to EWR are discussed in this blog post. Discussing how a traditional limo service is far superior to the on demand ride share model of limousine companies that now exist. A post that is announcing the successful merger of two well known highly rated limousine services in central NJ. A blog post thanking the residents of Princeton NJ, who make up an exceedingly large subsection of our limousine service client base. Two years in a row!! A brag post discussing our success as the premier limo service in central nj. A post describing recent updates to our limousine service based in central nj. We provide our award winning car service to clients across the middle of the state and have been doing so successfully since 2012! Shopping Limo Services for price? Here's what you need to know. An informative post regarding the often times confusing nature of shopping for limo services based on pricing. Our post guides limo service shoppers on what to look for if they will be comparing price quotes. This post illustrates what we are most well known for as a limousine service - incredible reviews from our incredible local client base in central new jersey. We are frequently listed as the “best of the best” in Yelp Elite user circles, as this client is a proud member of such a group. An introduction post highlighting the newest addition to our luxury limousine fleet. The Lincoln MKS has showstopping good looks and is now available for reservation through our easy to use limousine service online booking portal. We're Angie's List 2014 Super Service Award Winners! We won the Angie's List Super Service Award for 2014! We think communication is paramount in our limousine service, so we’ve developed a new system for making sure it stays top priority: SMS reminders. This is just another way that we’ve taken a step ahead of our local limo company competitors to lead the market in innovations. A valued client enjoying a smoke free ride! Using car and booster seats that smell like the babies they've been carrying are chain smokers! Most likely it is because these "services" allow smoking in whatever dispatch office they hold the seats in before use. It's pretty appalling. With that being said, our child seats are of the non-smoking (and complimentary) variety! We can provide the 5 point strap style seating (Front and Rear facing) or the standard booster seats for children that are older. Our seats are manufactured by EvenFlo and Eddie Bauer and are constructed with your child's comfort and safety in mind. Did I mention we don't charge you to use them? Call or text (877)352-5576 today to reserve your ride! Or get a quote online on our online reservation page! This blog was written to assist our clients that use us for airport transportation or that require limo service to ewr. Could this be Putin's next Limo? Here's a wild clip video of a concept limo that may be in use by Russian President Vladimir Putin sometime in the future. It looks like an ugly cross between a Chrysler 300 and a Bentley if you ask me. With the President hanging around NYC the past few days for the 2014 UN Climate Summit, I figured why not link up this awesome video about "The Beast" the President's awesome state of the art limo! Enjoy! From the website: "The Presidential limousine is a state of the art vehicle designed to evade terrorist attacks. Comprised of 8 inch armor plating in the doors , ballistic glass, night vision cameras and run flat tires."